In 1868 two gentlemen, by name Brewer and Evans, arrived in Fiji from Melbourne as agents for the Polynesia Company, Limited, of Melbourne, then about to be formed. 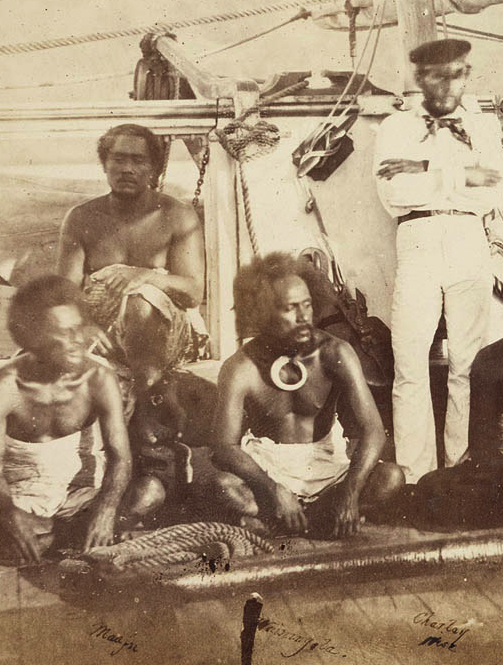 Polynesia Company agrees to pay debt: On July 23, 1868 a charter was granted them, as such agents, by Cakobau, who is chief signatory, with the ratification and confirmation of six principal chiefs under Cakobau. The deal: By the material portion of that charter, Brewer and Evans undertook on behalf of the said company to provide for the payment of the compensation, already referred to, to the United States of America; and, in consideration thereof, Cakobau ceded, granted, and transferred to Brewer and Evans as trustees for the said proposed company about 200,000 acres of land as specified in the schedule. Sells Suva to Polynesia Company: Paragraph 4 of the schedule is as follows : “4. Also Suva, its harbour, territories, and district, commencing from Lami, running along the coast towards Rewa, to the township of Kalabo, and running inland to the Waimanu” (memorial, p. 259). The lands so described include those in respect of which Henry’s claim arises.This charter was accompanied by the following agreement: “The Company agree not to alienate any of the land until the whole of the American debt is paid. Should the amount not be paid within the time specified in the agreement of the Company with Dr. Brewer, the land reverts to King Thakombau” (memorial, p. 259). Debt paid in two parts: On the following day, July 24, Evans and Brewer executed an agreement under seal, by which they undertook to pay the balance of the compensation due from Cakobau to the uv, the first instalment on their return to Melbourne, the second and final instalment on or before July 24, 1869.